Only four more days of school! to a full three months of summer vacation. This is going to be one great summer! RE: How to do Hairpin Lace. something for which you get no pay but the privilege of doing it. The Lord is my light and my salvation; whom shall I fear? The Lord is the defense of my life; whom shall I dread? When evildoers came upon me to devour my flesh, my adversaries and my enemies, they stumbled and fell. Though a host encamp against me, my heart will not fear; though war arise against me, in spite of this I shall be confident. One thing I have asked from the Lord, that I shall seek: That I may dwell in the house of the Lord all the days of my life, to behold the beauty of the Lord, and to meditate in His temple. For in the day of trouble He will conceal me in His tabernacle; in the secret place of His tent He will hide me; He will lift me up on a rock. And now my head will be lifted up above my enemies around me; and I will offer in His tent sacrifices with shouts of joy; I will sing, yes, I will sing praises to the Lord. Hear, O Lord, when I cry with my voice, and be gracious to me and answer me. When Thou didst say, "Seek My face," my heart said to Thee, "Thy face O Lord, I shall seek." Do not hide Thy face from me, do not turn Thy servant away in anger; Thou hast been my help; do not abandon me nor forsake me, O God of my salvation! For my father and my mother have forsaken me, but the Lord will take me up. Teach me Thy way, O Lord, and lead me in a level path, because of my foes. Do not deliver me over to the desire of my adversaries; for false witnesses have risen against me, and such as breathe out violence. I would have despaired unless I had believed that I would see the goodness of the Lord in the land of the living. Wait for the Lord; be strong, and let your heart take courage; yes, wait for the Lord. But we request of you, brethren, that you appreciate those who diligently labor among you, and have charge over you in the Lord tand give you instruction, and that you esteem them very highly in love because of their work. Live in peace with one another. And we urge you, brethren, admonish the unruly, encourage the fainthearted, help the weak, be patient with all men. See that no one repays another with evil for evil, but always seek after that which is good for one another and for all men. Rejoice always; pray without ceasing; in everything give thanks; for this is God's will for you in Christ Jesus. Rejoice in the Lord always, again I will say, rejoice! Let your forbearing spirit be known to all men. The Lord is near. Be anxious for nothing, but in everything by prayer and supplication with thanksgiving let your requests be made known to God. And the peace of God, which surpasses all comprehension, shall guard your hearts and your minds in Christ Jesus. Finally, brethren, whatever is true, whatever is honorable, whatever is right, whatever is pure, whatever is lovely, whatever is of good repute, if there is any excellence and if anything worthy of praise, let your mind dwell on these things. The things you have learned and received and heard and seen in me, practice these things; and the God of peace shall be with you. THE PRAYERS OF HIS CHILDREN." Who had two sisters named Mary and Martha? Correction on R3 (noted in blue). Page updated with new chart. Crocheting into the back loop only of each stitch on a row leaves you a ridge of unworked loops (the front loops) into which you can embellish the project. Thank you, I am still a beginner and want to do 50 cross bookmarks for a up coming breakfast with my women's church group. do u have any real easy patterns. The last one is my favorite because it isn’t very big and it’s sturdy. I really enjoy your newsletter and have made some really neat stuff from your website. I just finished the double ruffle baby blanket and it turned out beautifully. Thanks! Do you allow your stuff to be added to Pinterest? I've started to a few times, but thought I better ask. When I tried, the picture of the item didn't show up, but your logo did. I thought since it would link to your site, and not just the free pattern, that it would be ok, but thought I better check. 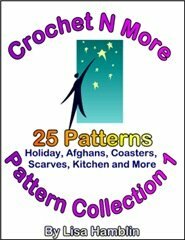 I’m so glad you are enjoying the patterns offered at CNM. Yes, I do allow pinning of my patterns. 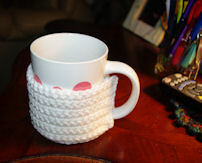 that helps keep the Crochet N More website online. load while others do not. and thank you so much for writing! 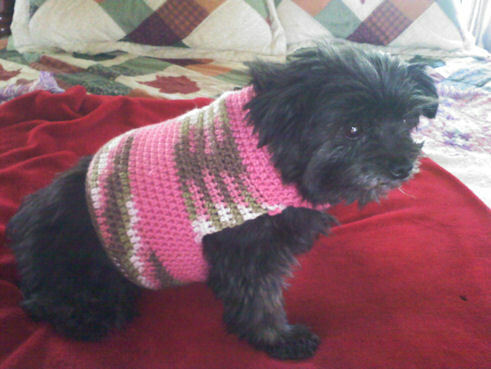 I love your dog sweater pattern and I have attached a pic of my dog/best friend, Lilly, wearing one of the sweaters I have crocheted for her. See our other furry friends modeling their sweaters - Visit The Dog House! ch, sl st, sc, sc dec, hdc. Determine the weight of partial skeins of yarn with a food scale. Best $5 I ever spent - my scale! I use it for yarn, fleece, dyeing - I don't even think it's ever been used for actual food! Store balls of scrap yarn in a mesh bag like oranges are packed in. I use those zip-up plastic bag containers you get when you buy sheets or blankets. 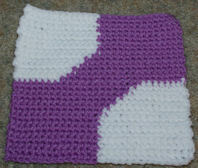 Crochet Tip: When crocheting a striped afghan... carry unused color up the side = fewer ends to weave in later. Love this idea--- thanks !! Crochet Tip: Don't be afraid to "frog" your work. If a stitch doesn't look good - frog it and crochet it again. frog? I am sorry but I do not know that term. rip it, rip it, rip it. I have to frog all the time. It's kinda like "rip-it, rip-it".. :) And it's good advice. In the end, you'll be glad you did. 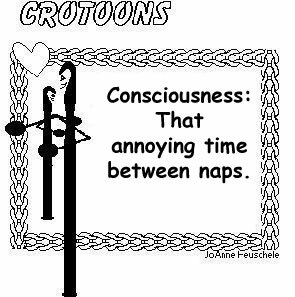 When I first started crocheting it broke my heart to have to take out stitches... but I've been known to unravel or "frog" 20 rows or more on an afghan to fix a mistake. Oh thank you Ann Polk Watkins! I wondered why 'frog'! Thank you.. Do you know what kind of yarn was used for this tutorial? It seemed to crochet so beautifully.. This is just the first video... 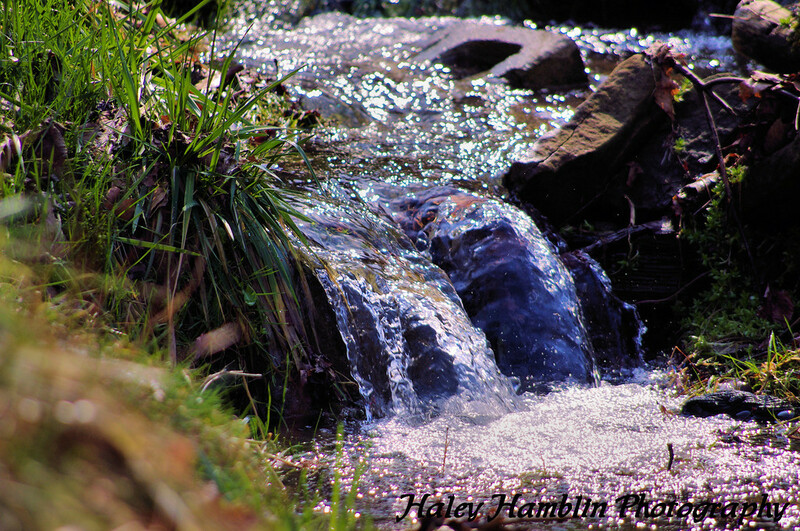 I'll post the others soon or you can find them on youtube. Feel free to post a photo! Thanks for this method of joining. Scrap Yarn Idea: Use scrap yarn to tie your scissors to your tote bag so you don't lose them. This seems an odd way to write a pattern. Okay... you should have 35 stitches after round 5. Round 17 is worked without shaping. All that means is that you work one dc in each stitch. Now you should have 16 stitches. Let me know how this works up for you... the stitch count is correct in the pattern. "I made one like this for my sis-in-law for her birthday. She loved it!!! 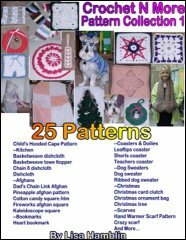 Thanks for the free patterns!" Can you define "holding back last loop"? you do not complete the very last step. Yes, you are correct. Thank you so much for letting me know I had a typo. This is a sweet pattern, coasters are such wonderful gifts, I've made nearly all of the ones you've shared. I'd like to express my sincere gratitude for this site for at least the last 15 years I have made maybe a hundred of the wonderful p...rojects so sweetly put in this really great site, and I've never had any problems following your patterns, what I'm tryibg to say is the patterns are right on!The price of a project can be cut dramatically thanx to crochetnmore.com Thank You § God bless you and yours. 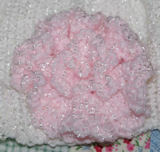 Crochet doll blankets using scrap yarn... make them striped or join motifs in multiple colors. Excellent idea! They would make great gifts for little girls to use with their baby dolls. Thanks! Enjoyed watching some of your stitch tutorials--I had never heard of an extended single crochet stitch and the method of having the closed center is great. Thanks!! I tried clicking the link to see if there were any contest going but it took me to a small business directory site instead. I appreciate you letting me know about the contest link. My kids take theirs everywhere with them! That's great! Not many kids enjoy board games anymore. 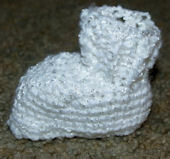 Use scrap yarn to make square for Warm Up America. Having trouble were I’m to attach and start in center. Thank you for writing regarding this pattern... I noticed a typo I had made on R3. 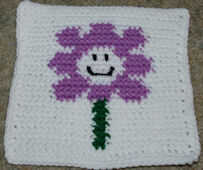 To begin the center of the flower you join the same yarn in any unworked loop on R2... then repeat R3. When you did R2 you worked into the BLO (back loop only) leaving the front loop of each stitch unworked... those unworked loops are where you work the center ruffle. Just wondering how many for the first row? You should have 12dc on Round 1.
a handle is added to either side and a button sewn on as shown in the photo. Two elderly women were trying on shoes in our store. 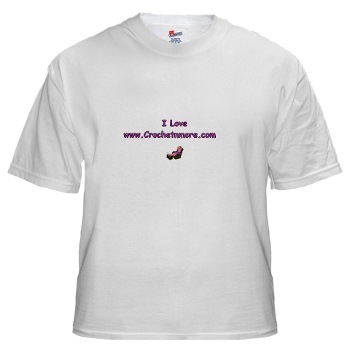 When I slipped a shoe onto one woman's foot, the end of my tie got caught beneath her heel. Unaware of my predicament, she stood up and started toward the mirror. For a few seconds, I found myself crawling along the floor beside her, trying to get her attention. "Look, Martha," her friend said. "he wants to go home with you!" three-day camping excursion, I noticed that someone from the first car had left a pair of hiking boots on the back steps and snagged them. An hour later we caught up with the first car at a rest stop. Just after we figured out that no one had forgotten a pair of boots, my cell phone rang. It was my wife. "Have you seen the plumber's boots? They were on the back steps...."
"that the medication you prescribed has to be taken for the rest of my life?" "'Yes, I'm afraid so,"' the doctor told her.There was a moment of silence before the senior lady replied, "I'm wondering, then, just how serious is my condition because this prescription is marked 'NO REFILLS'. It was snowing heavily and blowing to the point that visibility was almost zero when a young lady got off work. She made her way to her car and wondered how she was going to make it home. This made her feel much better and sure enough in a little while a snow plow went by and she started to follow it. As she followed the snow plow she was feeling very smug as they continued and she was not having any problem with the blizzard conditions. After an hour had passed, she was somewhat surprised when the snowplow stopped and the driver got out and came back to her car and signaled for her to roll down her window. The snow plow driver wanted to know if she was all right as she had been following him for a long time. She said that she was fine and told him of her daddy's advice to follow a snow plow when caught in a blizzard. The driver replied that it was okay with him and she could continue if she wanted, but he was done with the Walmart parking lot and was going over to Sears next. As I enjoy 2 servings per night, and a few more on weekends, I consume about 3,500 calories of chocolate in a week, which equals one pound of weight per week. Therefore, in the last 3-1/2 years, I have had chocolate caloric intake of about 180 pounds, and I only weigh 165 pounds. So... without chocolate, I would have wasted away to nothing about 3 months ago! Noah made cookies with his Grandma Sue for Easter, and he really wanted to make a cookie for Jesus. He brought it home and his mom, Becky, wrapped the yellow frosted bunny cookie in plastic wrap and put it in the freezer until the second coming. When Becky reminded Noah that when Jesus comes back they will go to heaven, Noah said, "That's OK. He can still stop by our freezer and get a snack!" For the life of him, he couldn't think of the names of the couple that were to be married. To cover his forgetfulness, he requested, "Will those wanting to get married please come to the front?" Immediately, nine single ladies, six widows and two single men stepped to the front. The young man ahead of my father at the flower shop was taking an unusually long time to place his order.When the clerk asked how she could help, he explained that his girlfriend was turning 19 and he couldn't decide whether to give her a dozen roses or 19 roses -- one for each year of her life. "She may be your 19-year-old girlfriend now, but someday she could be your 50-year-old wife." While vacationing in Alaska, I couldn't help but notice all the warnings about bears posted in campgrounds, visitors' centers, and rest areas, advising people not to feed the bears, how to avoid bears, what to do if a bear sees you, what to do if a bear attacks, and so on. Fresh from a visit to the dentist, I decided to stop at my bank. Barely able to enunciate, I told the teller, "I'm sorry about not speaking more clearly. I've had Novocaine." "You should have used the drive-through," she said. "Everyone who goes through sounds like you," she explained.